I use this chant every morning as I begin my morning meeting. I recite a line and the children echo. 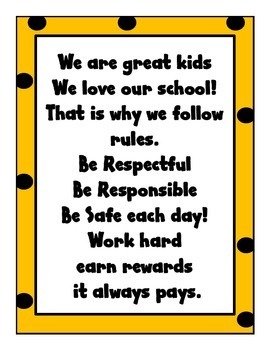 It helps to set the tone for the day while instilling our school rules. Hope you enjoy this freebie. This is part of my Bee Scavenger Hunt. Check it out!